It has begun! 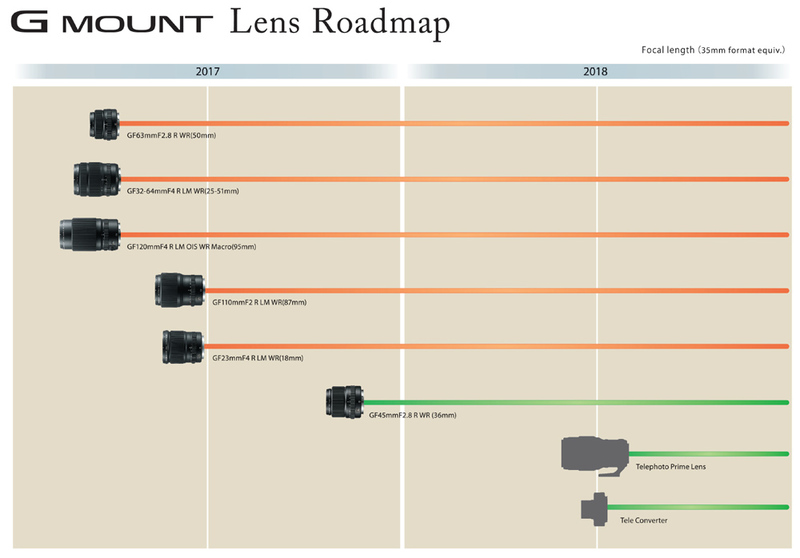 ephotozine is dropping the first details, with an official roadmap and lens announcement. PRE ORDERS ARE NOW LIVE! 10:52 AM Moved Camera Size Comparisons to its own post to reduce the live stream. 4:35 AM Found a new GF110 video from the India shoot… pretty amazing lens and both GF110 and GF23 Amazon links are live now. 4:00 AM added a few things to the SQ10. While reading over the 110mm reviews I noticed that you can see Damine Lovegrove at 100% in this image. 2:50 AM Just finished reading the only 23mm review released so far and man what a shame more photographers didn’t review this lens yet. The review is full of amazing images, but I would have loved to have seen more styles and variety. Fujifilm needs to find more people to do wide angle reviews. I cant wait to get my GF 23mm for Astrophotography. It sounds like it’s a superb example of a rectilinear lens, but I wish it were a little faster. 2:20 AM update: It looks like things are slowing down. Either Fujifilm limited the amount of samples distributed for review or reviews didn’t rush to post. Either way I will be here waiting for updates the moment they drop so you don’t have to go look for them anywhere else. Firmware 1.10 for the Fujifilm GFX will be released with the new lenses.